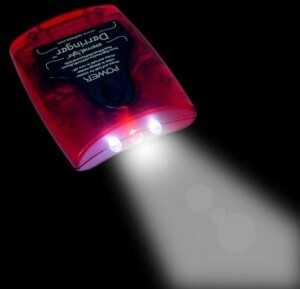 EternaLight(tm) Model L1 - "Derringer"
This is our smallest and most cost effective pocket lighting instrument. The derringer is inspired by the diminutive little double barrel pistol that often settled the score in the old west. But, don't let its size fool you! It's still packed with the power, technology and smart features that have won the EternaLight brand international recognition for creativity, function and performance. Derringer is only 2.75" X 2.13" X .8" and weighs a mere 1.8 oz! This small size, curved shape and fly-weight allows it to comfortably fit in a pocket, purse or be worn around the neck almost unnoticed. Derringer incorporates our exclusive Pocket-Smart(tm) technology to allow access to its 13 multi-function modes of operation with reduced risk of accidental activation when in your pocket or purse. Click here to read the on-line manual. 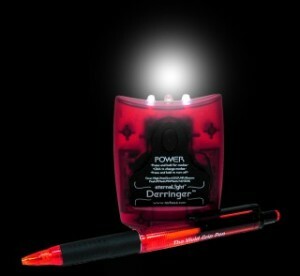 The Derringer not only possess two powerful white LEDs but a powerful red as well. Thus, the Derringer, has dual color capability. With a small size and simple single button, you might think the Derringer just turns on and off. Not so, our lights have a reputation for doing more than any other light and the Derringer is no slouch in this area. 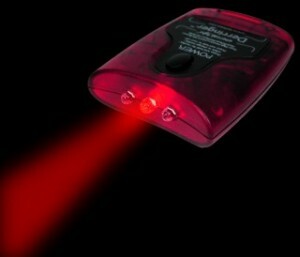 13 modes of operation including, 3 light levels for the white LEDs and two light levels for the Red. 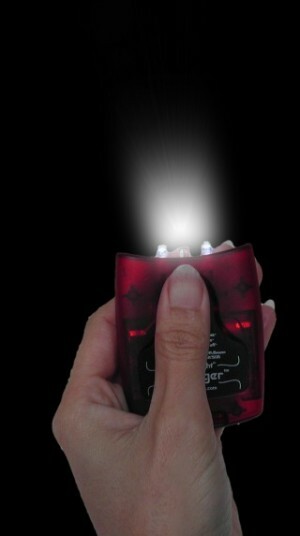 An auto-off timer, a low power night locator beacon, a white flasher, a red flasher, an alternate red/white flasher, SOS, battery test and momentary are the selection of tool blades the Derringer possess. Yet, like other EternaLights, the sophistication of the Derringer does not overwhelm its ease of use - a 2 year old child can operate it. Derringer uses 3 AAA batteries. Like it's bigger brothers, the Derringer's microcomputer can stretch the life of those batteries to up to 450 hours of continuous operation without changing batteries. 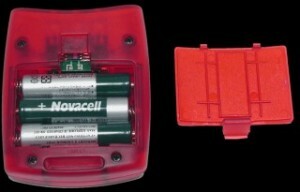 But, if you need to replace the batteries, it's simple latch-on battery cover permits easy tooless access. The Derringer is also balanced and constructed so that it can easily stand on its tail to light up a room. Get one in your hands today! The Derringer makes an excellent gift for yourself or someone else. It's attractive translucent red color, unique shape and function assure it notable recognition by its recipient and later gratitude by its utility. The pride and security that comes with owning an EternaLight product starts here. Don't just take our word for it, click here for an independent review of the Derringer. Web price Only $29.99 each!